Kent’s Rental Allowance Matrix for Perth (as of May 2017) is now available for download. This rental market information has been created with human resource professionals in mind, to ensure that they have timely and accurate data on-hand, that will guide them through the crucial decisions involved in employee relocation. This information will help human resource departments to make the best possible decisions about individual employee house rent allowance allocations, and other important factors within employee relocations. The key benefit of our rental property data is the range of information it covers. You’ll find information on population demographics within key Perth areas, as well as parklands percentages, rental vacancy rates and price breakdowns of rental properties, so that decision-makers can make comparisons across one, two, three and four bedroom properties. Our May 2017 rental property data for inner city Perth demonstrates that parks cover almost 11% of the 5 square kilometres that make up the total area of inner city Perth. The predominant age group is 25-34 years, and there is a 5.2% vacancy rate for inner city Perth rental properties. The Perth Rental Allowance Matrix provides the same depth of information on other key areas of Perth, including East and West Perth, as well as surrounding suburbs such as City Beach, Como and Nedlands. By extending the information beyond inner city Perth, HR departments can compare various areas and suburbs to find the right fit for their assignees and their relocation budget. Finding the right area for your assignees is crucial in setting them up for a successful relocation. East and West Perth would be more suited to younger, single assignees, as they have a predominant age group of 25-34 years with a high-vacancy rates for single bedroom apartments. If you’re relocating a family, you would be better off looking at a suburb like City Beach, which has a predominant age group of 0-14 years and a high-vacancy rates for three and four room apartments. Our own comparative analysis of Perth’s rental market combined with the local knowledge we have gathered during our 70 years of operation. Our suite of corporate relocation services is designed to give our clients complete confidence in our operations, so they can focus entirely on the task of relocating their assignees. This up-to-date and accurate rental market information, and our industry leading service delivery model, allows us to help you meet your objectives. 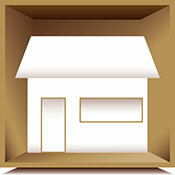 All of our relocation services are backed by our 5-star Quality Service Guarantee.